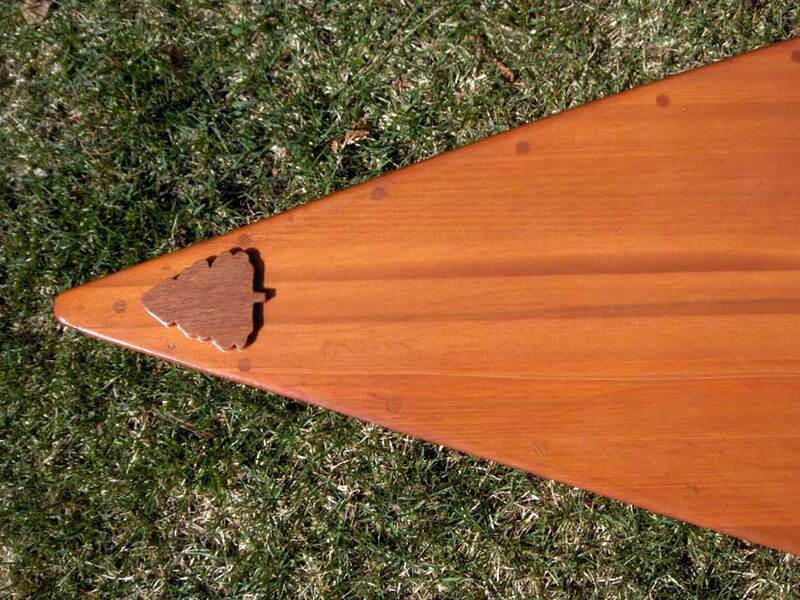 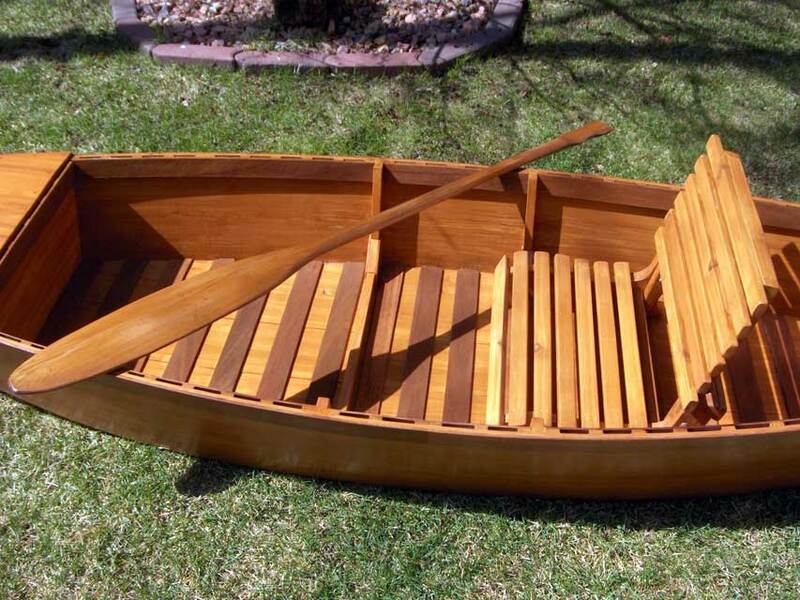 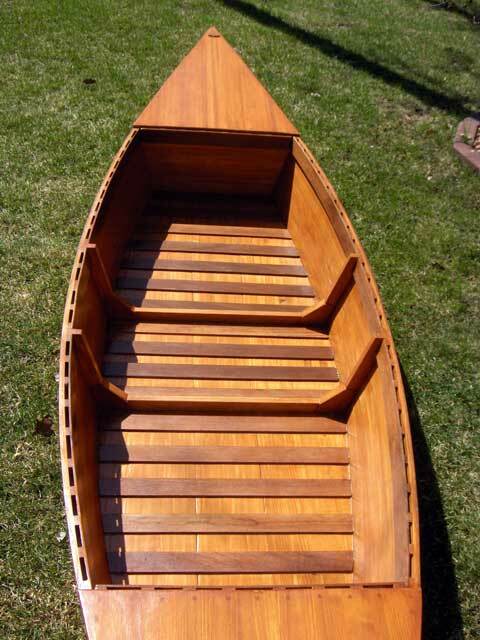 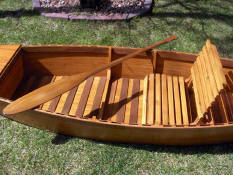 Uncle John, well I finally got my Pirogue done. 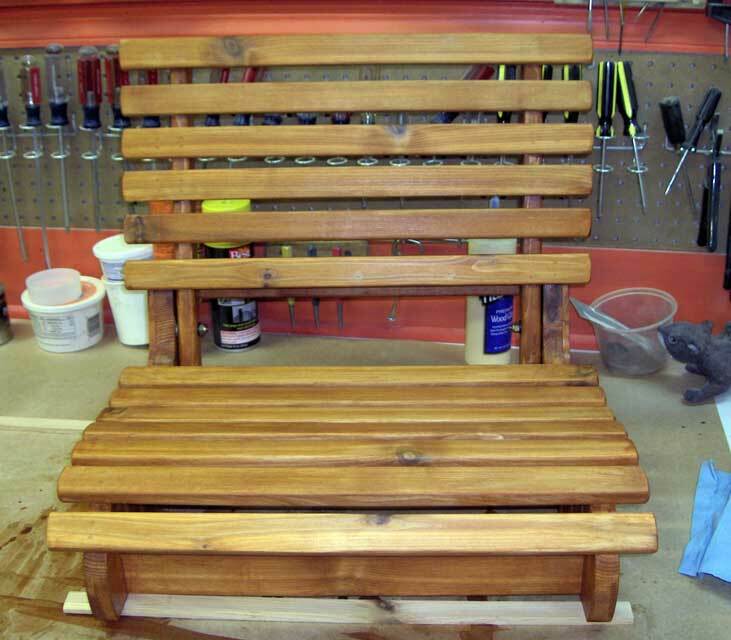 It took a lot longer than anticipated....but, considering what I wanted to make and the fact that I could only work on it on the weekends as my father lives 'bout an hour and a half away (We used his shop) it's easier to understand. We built it out of cedar strips....3/4" by 5/16" with mahogany trim. 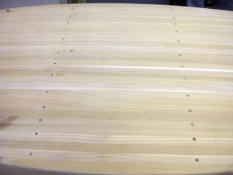 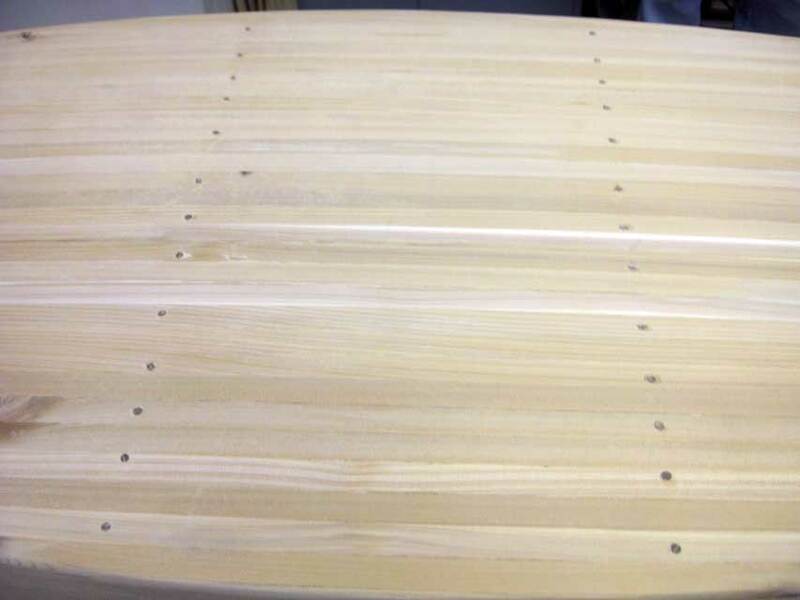 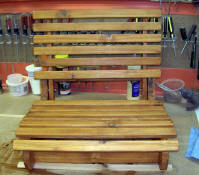 We pinned it with oak dowels and sanded them flush. 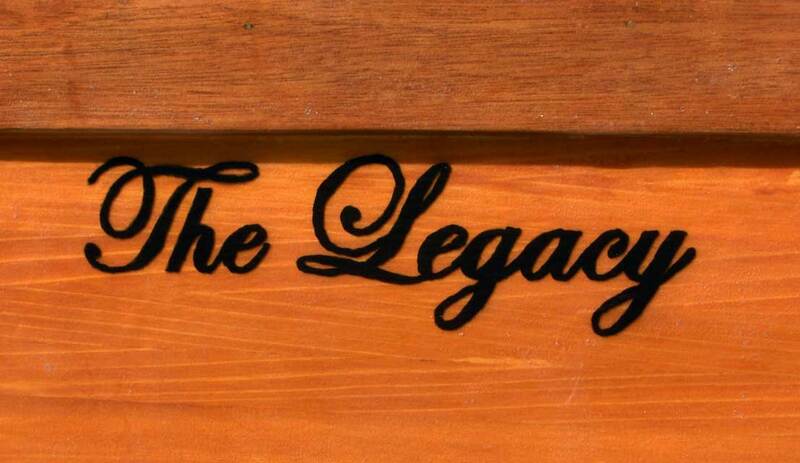 I called it "The Legacy" as I learned all my wood working skills from my Dad and we built it together. 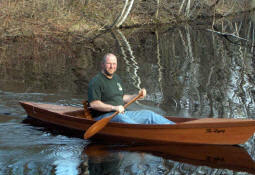 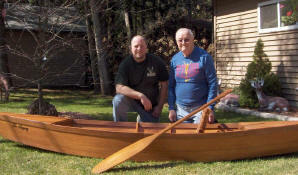 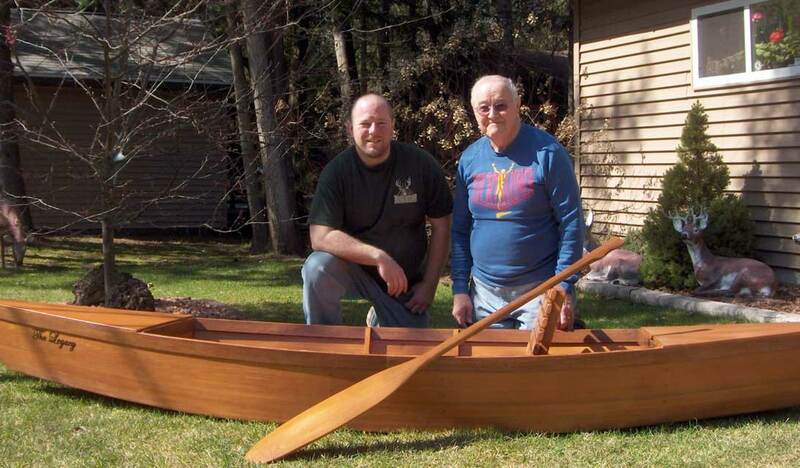 It's just shy of 12' weighs 55# empty....65# with the cedar chair and hand carved cedar paddle. 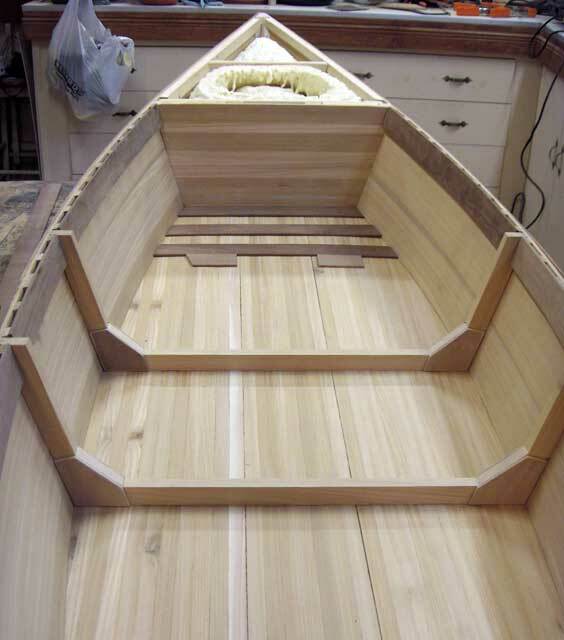 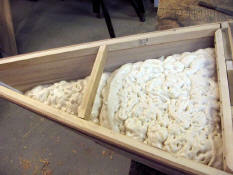 I know it's a bit heavy for a cedar strip...but I also have that spray foam in the bow and stern for floatation.